Church floor candle-stand - 83 (for 52 candles) - Istok Church Supplies Corp. 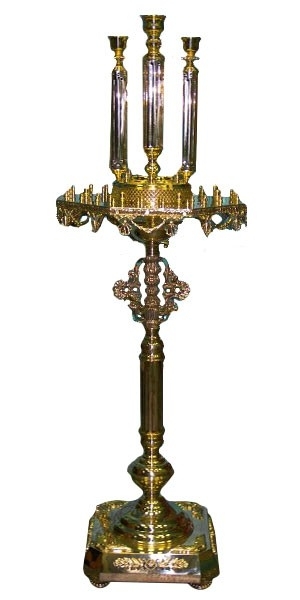 Traditional Orthodox Church floor candle-stand. Brass, hand-casting. Size: 21.7''x53.9'' (55x137 cm).